The Bureau of Labor Statistics lists electrical powerline installers and repairers as one of the deadliest occupations in the United States -- overexertion and heat stress and bodily reaction are the most common non-fatal accidents. With more than 227,000 electrical powerline installers and repairers nationwide, what are the most effective ways you can stay safe on the job? 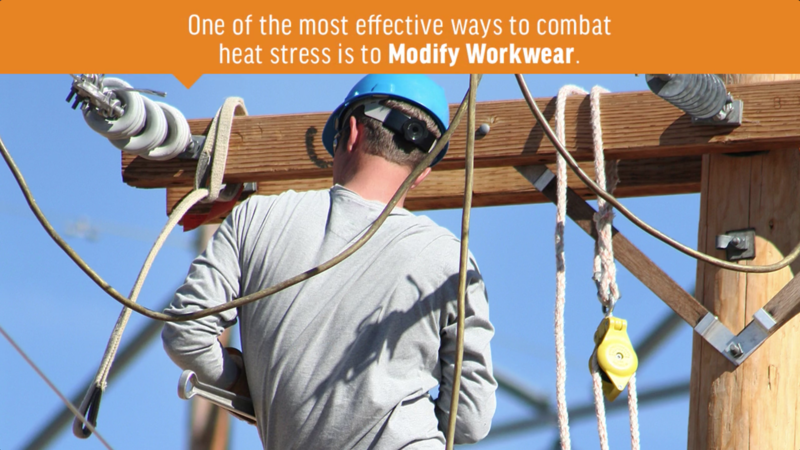 You may be surprised to learn that one of the most effective ways to combat heat stress is to modify your workwear. The FR apparel you choose to wear on the job can have a drastic impact on your overall health and safety on the line. How? We investigate the facts and the fibers behind staying cool in our new investigative ebook. Download our ebook now to learn the facts about heat stress and safety, and to learn what to look for as you make your FR garment selection. What fibers are best for your apparel? How can you layer and still stay cool? How do you combat heat stress in hot, humid weather? Download now to get expert facts and insights on FR apparel. Learn more by following Lakeland on Facebook and Twitter, and be sure to #AskForLakeland.